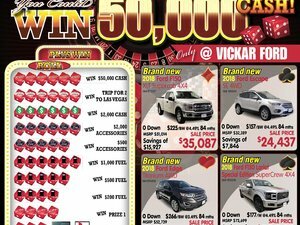 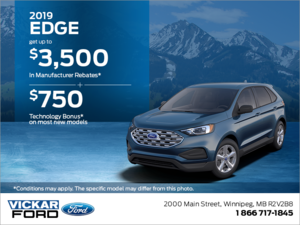 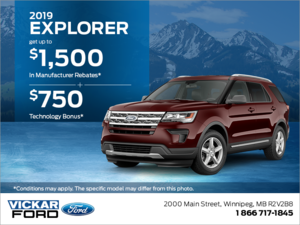 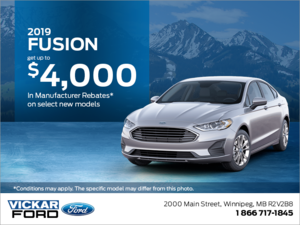 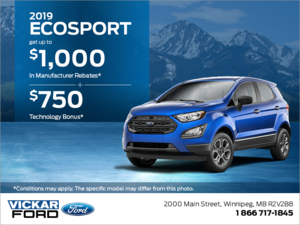 Home > Special Offers > Sales > Vickar Ford 2018 Clearout Sales Event! 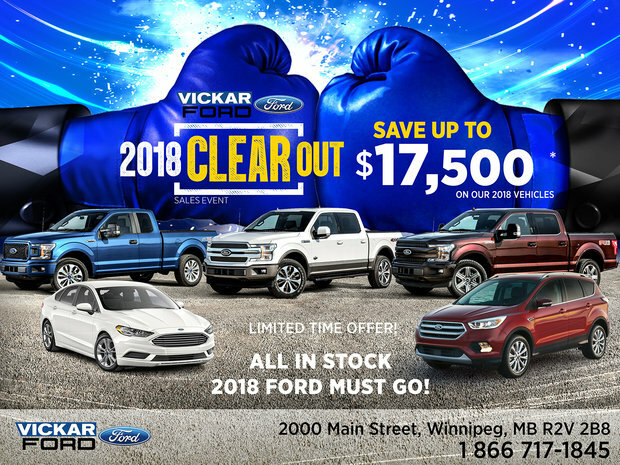 Take advantage of the 2018 CLEAROUT sales event at Vickar Ford! 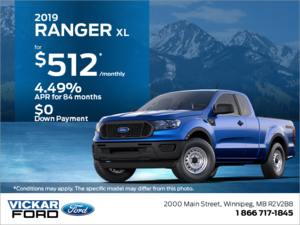 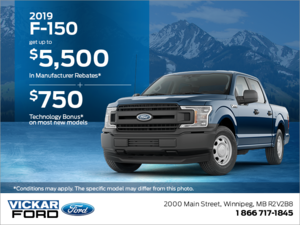 Save up to $17,500 on a Brand New 2018 Ford F-150! 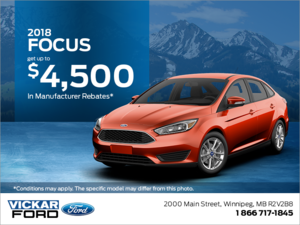 2018 Ford Cars, SUVs and Trucks must GO! 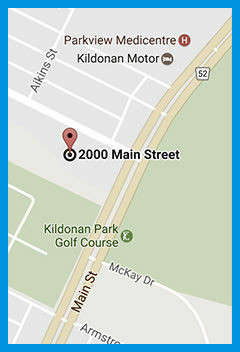 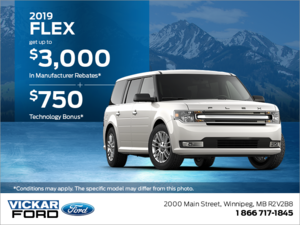 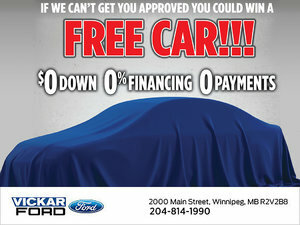 Drop by the dealership today or call (204) 339-2000 for more details. 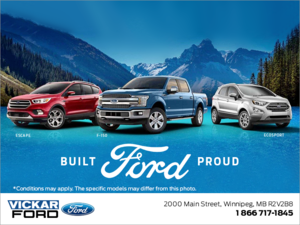 Some conditions apply. 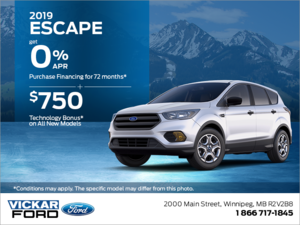 Book your test drive now!